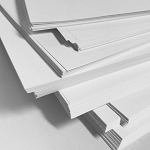 Availability: Fine paper meets strict standards for NSDAR - free shipping! Free Shipping. Made to exacting specs for NSDAR applications, this fine paper meets all the specifications that NSDAR places on the application papers for their society. This fine paper is also popular with other societies who want to be sure that the paper they use (and keep for hundreds of years) will last not only from personal handling but from technical copying and scanning equipment, too. It's a pleasing ivory color which makes it easy on the researcher's eyes. Technical specs for DAR paper say 25% cotton, and this paper meets that requirement. Specs call for the paper to be at least 24 lb weight, and this paper is 28 lb weight, so it meets and exceeds that specification. You don't want the paper to be too heavy, and 28 lb is not too heavy to be used again and again on copying and scanning machines. It's tech ready. When you use this paper, you do not only the right thing in your own research, but you also provide future researchers a good service by making sure the paper does not get in the way of reading the intended information on it. Yes, there are good reasons the NSDAR has these specifications for their paper. Their library is full of faded, torn, yellowed, and ragged application papers. 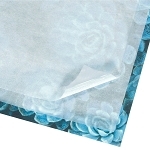 Great care needs to be observed in the use of these fragile papers. To make it better in the future, each application that they get for lineage of a patriot needs to be on paper that lasts. The 25% cotton content is important for longevity, the heavier duty paper is important because of the handling and machinery it must withstand, and the ivory color is much easier on the researchers' eyes than bright white is. The paper is carefully packed and shipped. It usually ships via USPS. Shipping is free in the United States. 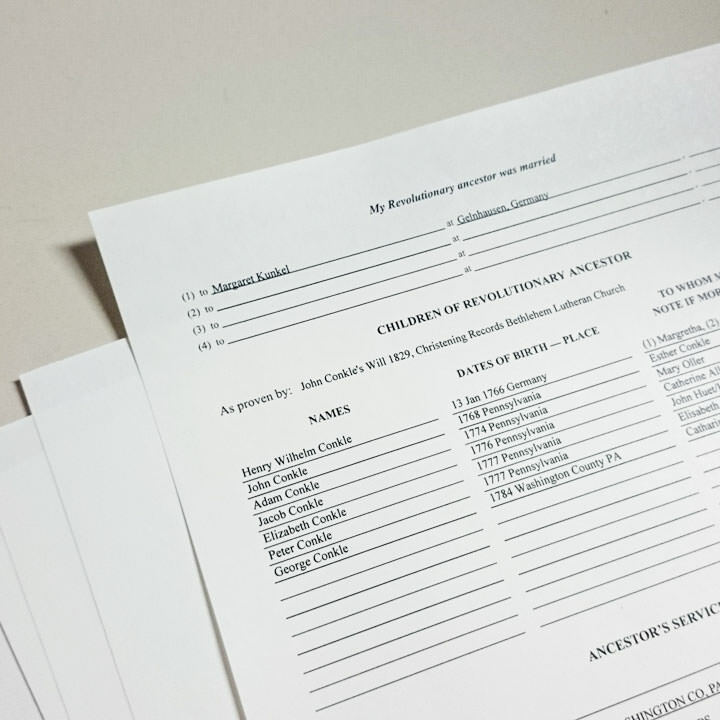 Note: This paper is legal size and works great for applications as well as proofs. For most proofs, however, that accompany the submitted application, you can submit on Permalife paper (25% cotton, buffered, acid free, 20 lb paper). 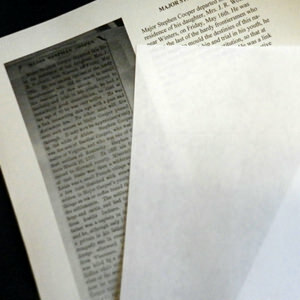 We sell both the letter size and the legal size of that Permalife paper for your use, and we recommend that paper for all genealogy papers you keep at home, as well. You don't need a heavy paper at home, just the 20lb paper will do (however you should get paper that is at least 25% cotton content, and Permalife is rated for 300 years). The paper here meets & exceeds Permalife paper requirements. Ivory Color: Color is a pleasing color - easy on overworked eyes! I reached out to Christina several times after this review, because it did not seem helpful. I received more information from her experience and wish to share it. She did not have any issues printing on the paper, but rather, the handwritten signatures smeared. Whatever pens she used did not dry quickly enough for her. Please use caution to make sure you allow enough time for your handwritten ink marks to dry. Excellent service and product. Thank you. 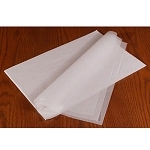 I have used this paper for DAR Applications and have had no problems with ink smudging.